The most notable way in which Interactive Voice Response (IVR) technologies help improve workflows is by automating routine customer communications, such as appointment reminders, lab results and follow-up service surveys. With IVR software, you can quickly create, schedule and send custom messages to dozens, hundreds, or even thousands of customers at once, saving hours of valuable staff time on making manual calls. IVR technology utilizing artificial intelligence to interpret (and in some cases, predict) a user's responses can dramatically enhance your call flow capabilities to get customers to the right person or department more quickly. Instead of hearing a long list of options like "Press 1 for sales. Press 2 for customer service ...," callers can simply state what or who they need and the system automatically interprets and processes the call accordingly. Another common technology that can enhance everyday workflows is SMS, or what most of us simply refer to as text or instant (IM) messaging. Integrated with a company’s communications system, SMS allows employees to securely communicate and collaborate in real time while on the phone or on a video conference. (See? You really can do two things at once.) Marketers, in particular, have discovered the value of SMS as a popular customer communications tool, with marketing text messages achieving 98% open and 45% response rates. Click here for more examples from CRM Magazine of how businesses can use IVR and SMS to enhance workflows. Fascinating Factoid: 97% of Americans send text messages at least once a day, making text messaging the most-used smartphone app. For years now, wireless technologies have enabled the proliferation of mobile communications, changing forever how business is conducted. With the transformation to the mobile workplace is the need to adapt workflows to support it. Here are just a couple of real-world examples of how mobile technologies are meeting that challenge in the medical field. To enable enterprise mobility, phone features have evolved from simple hot desking (where employees share the same desk/IP phone at different times and locations) to supporting today's bring-your-own-device (BYOD) work environment -- in or out of the office. With applications like Vertical's ViewPoint Mobile™, workflows can proceed uninterrupted, thanks to seamless integration of enterprise communications features and functionality with employees' personal mobile devices. In addition to integrating mobile devices into your communications system, the integration of company databases and directories, customer management and accounting programs, and other mission-critical systems and resources is essential to improving workflows. Integrative technologies and the use of application programming interfaces (APIs) are the lynchpins to creating a communications system built upon a company's specific use cases. Integrating communications with other business systems saves time and reduces errors that often result from the manual re-entry of data into multiple programs. For example, Vertical's cloud-based CRMLink service eliminates the need to manually enter and create records in your CRM system by transparently connecting Vertical's Wave® IP Communications Platform with popular cloud-based CRM and ERP programs where all incoming and outgoing calls (including mobile) are automatically logged for complete and accurate call activity records. Of course, all the buzz in business operations over the last several years has been about moving everything -- including communications -- to "the cloud." Cloud technologies provide secure, cost-effective access to files and business communications services from any location. These rapidly evolving technologies are also driving the need for new workflows to keep pace with the changes. The challenge of cloud is to find a flexible infrastructure that can conform to a business' unique needs and workflows without significant development and technology integration costs. Vertical Cloud Connect (VCC), for example, enables businesses to extend their Vertical Wave IP infrastructure to cloud-based services from any endpoint at any location. It serves as a fundamental link between the premise and the cloud, providing access to cloud-based tools and solutions that can increase productivity and enhance workflows. Vertical's Application Ready architecture means you have all the tools you need, when you need them. Add applications with a simple license key. Vertical Communications is pleased to announce that Wave 3.0, featuring Vertical's new ViewPoint Mobile enterprise mobility application, has been approved for "Release to Manufacturing" today, following the successful completion of our field trial and release criteria. With this solution, your business and users will be able to enjoy reliable and seamless mobile access to all of their Wave premise-based enterprise communications services and tools, including unified communications, collaboration, presence management, call recording, telephony and market-specific applications. With the release of Wave 3.0, ViewPoint Mobile will be available for devices that run iOS version 4.3 or greater. 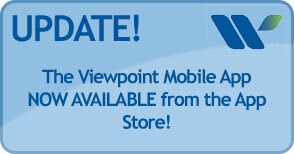 (An Android version of ViewPoint Mobile is expected to be released later this year.) Wave 3.0 also features the addition of DSS/BLF for Edge 5000 IP phones and support for future hardware upgrades to the Wave platform. The availability of ViewPoint Mobile represents a significant milestone in the evolution of business communications! An all-in-one solution that extends the Wave's powerful, premise-based communications services and features to smartphones and tablets, ViewPoint Mobile meets the needs of organizations of all sizes that rely on geographically dispersed offices and mobile workers to ensure that all staff have ready access to mission-critical features and business tools, whether they are in the office or out in the field. Most importantly, ViewPoint Mobile is built right into the core Wave IP appliance, providing the ability to cost-effectively leverage advanced mobility capabilities when you're ready or need to do so, without having to invest in any additional hardware or software. Vertical will begin shipping new systems with Wave 3.0 the week of May 29, with subscription upgrades for existing Wave customers available within 90 days of product General Availability. The ViewPoint Mobile application also will be available for download from Apple's App Store (through the Vertical AppMarket) the week of May 29th. Wave™ IP 2500 Business Phone System: The Future is Calling. How do You Plan to Respond? Wave IP 2500 Provides outstanding value in the core business applications you need today, such as desktop call management, unified messaging, call recording, fax and auto attendant. Wave Lets you selectively run advanced applications to address future business opportunities and improve customer service, such as self-service interactive voice response (IVR) applications and contact center — without costly additional servers. Wave Supports thousands of sites but is easy to manage, reducing administrative time and costs. Vertical Wave IP 2500 is the result of more than two years and millions of dollars of research and development investment by Vertical Communications, a leader in next-generation IP telephony solutions. Wave IP 2500, based on proven technologies that have met the needs of demanding customers like CVS/pharmacy, Staples and Apria Healthcare, and featuring a range of brand-new capabilities, Wave is the reflection of Vertical’s rich heritage of technical innovation and its ongoing commitment to enhancing customer communications.